A couple of surprise moves happened/were confirmed this weekend. 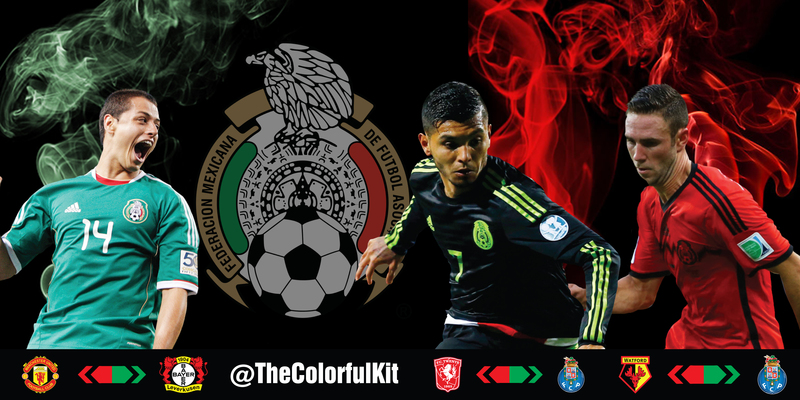 The Tecatito to Porto rumor was already strong and nearly a certainty but he wont be the only Mexican on the move. The Chivas product is finally on his way out of Manchester on a permanent deal. Just days after van Gaal said the striker will get his chance this season, Chicharito will sign with Bayer Leverkusen for the next 3 seasons. His presentation will be tomorrow but the club have released a photo of him in his new kit already. The club will be in the Champions League and shares Group E with: Barcelona, Roma, and BATE. We will have much more on this move in the coming days. Just weeks after making his debut in the EPL with a goal, Layun is on his way out to join the Mexican contingent at Porto. He is moving on a loan deal for 1 season and is suppose to be in Porto today taking a physical to finalize the deal. Porto sold both of their fullbacks for big money and did not really find a LB to take control of the starting spot. Layun is being brought in to fill in at LB and serve as depth at RB. This move had legs last week and it is all but finalized. Initially, I was hesitant about him moving to a bigger club already but Twente is a mess. The club have recently fired their coach and the captain says he might give up the armband. The financially troubled team now has to pay their fired coach 2 mil Euros. Tecatito will go from that environment to a much more stable one on a 5 year deal. He is also rumored to be in Porto taking a physical today before heading off to Mexico camp with Layun.